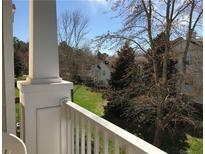 Below you can view all the condos for sale in the Copper Ridge subdivision located in Charlotte North Carolina. Listings in Copper Ridge are updated daily from data we receive from the Charlotte multiple listing service. To learn more about any of these condos or to receive custom notifications when a new property is listed for sale in Copper Ridge, give us a call at 704 604 8836. The community amenities feature swimming pool, tennis courts, fitness and club house. MLS#3497783. Keller Williams Ballantyne Area. Minutes from Ballantyne, Blakeney, Stone Crest and Carolina Place Mall. MLS#3496226. My Townhome. Conveniently located in Ballantyne with easy access to I-485, shopping and entertainment. MLS#3482092. Keller Williams Ballantyne Area. Community has a rental cap, currently at full capacity with waiting list. MLS#3483659. Coldwell Banker Residential Brokerage. The best value in Ballantyne, Copper Ridge has two salt-water pools, tennis court, fitness center and clubhouse. MLS#3469010. Infinity Commercial Real Estate. Move-in Ready, Excellent Schools and South Charlotte Location surrounded by shopping & restaurants. MLS#3467810. Henderson Properties.